Shhh…we won't tell if you don't! Looking for something sweet? We’ve got it! 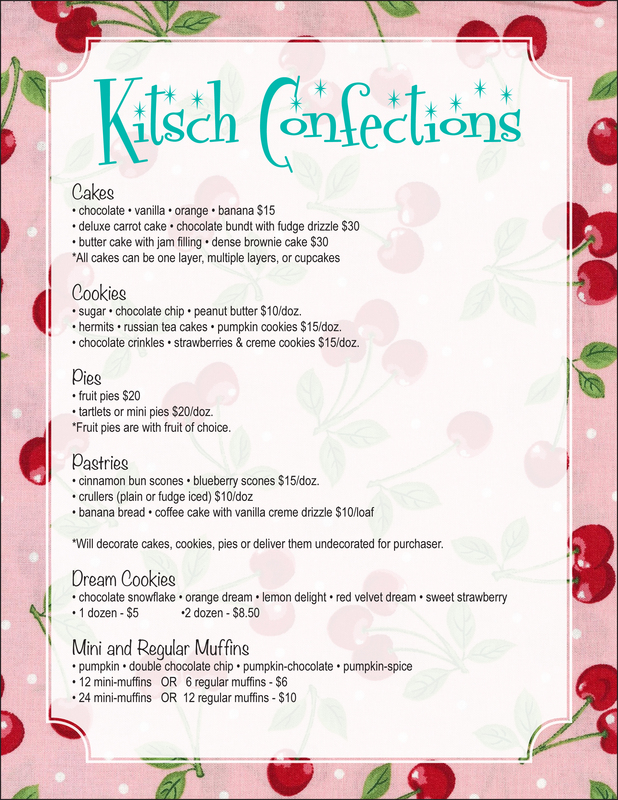 Kitsch Confections is serving Alvin, Manvel, Pearland, Friendswood and surrounding communities some of the best homemade treats available! This menu offers but a sampling of what we can provide…looking for something not listed? 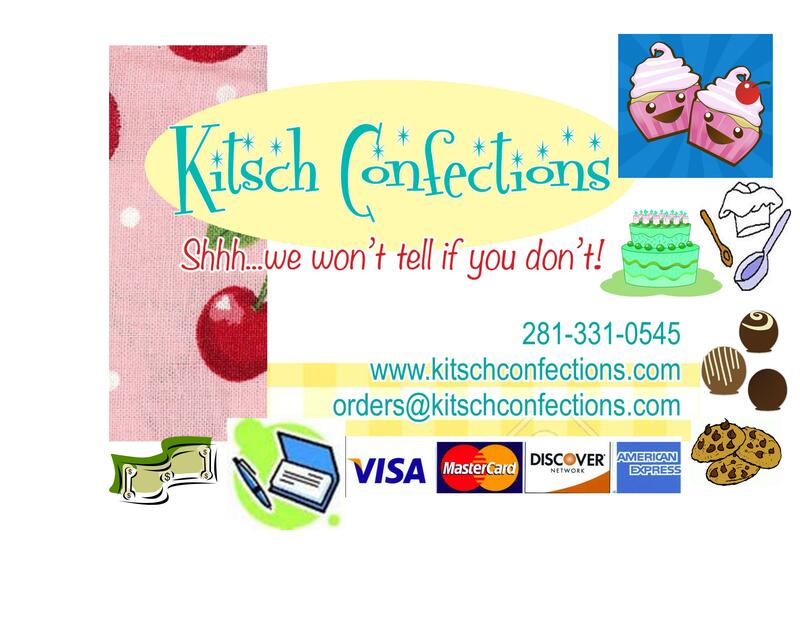 No problem – email us at orders@KitschConfections.com and we’ll get back to you right away! Looking for something sweet today? 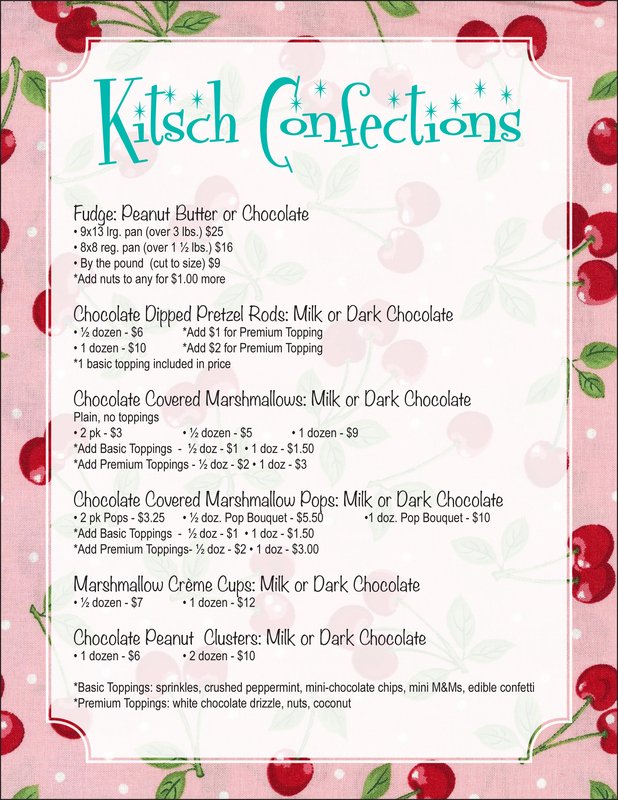 Let Kitsch Confections make it for you! Every order is a custom order — we’ll even use YOUR cake plate…because our treats are so tasty, you’ll want to claim them as your own!! Shhh…we won’t tell if you don’t!! Our food is made in a home kitchen and is not inspected by the Department of State Health Services or a local health department.